Prototypes are physical representation of the concept of future products. To put it simply, prototypes are developed so that they can be tested and improved again and again until desirable results are achieved. Our prototype development services help you in launching fresh products or validating new systems with less risk of failure. Taking leverage of its proven Product Design and Engineering strength, Hi-Tech offers solutions to manufacturers at each and every stage of the product lifecycle. We partner with our customers right from the requirements definition to the end, or in any specific stage of the product lifecycle. Hi-Tech is one of the few vendors in India providing end-to-end services in this area, ensuring reduced time to markets for customers. We have executed turnkey development projects for new products as well as provided discrete services for existing products. 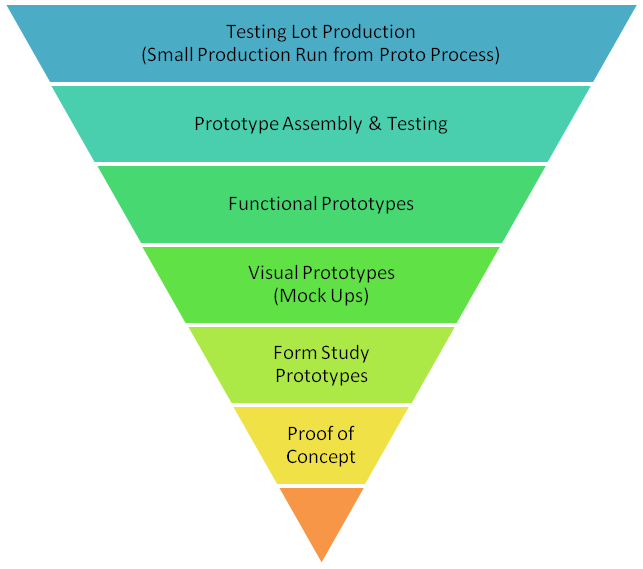 Prototypes development process begins with a rough base and progresses towards refinement. The earlier stages involve conceptual prototypes which convey ideas, simulate the appearance, color and surface textures of the intended product while the latter, functional prototypes, comprise refined ones for more test interactivities. As the rapidness of the process is most evident in the iterations, which range from real-time changes to iteration cycles of a few days, depending on the scope of the prototype, our prototype development services help you reduce development risks and control investments. Our testing services include Non Destructive & Destructive Testings. We provide reliability engineering and testing at product level, system level & component level.